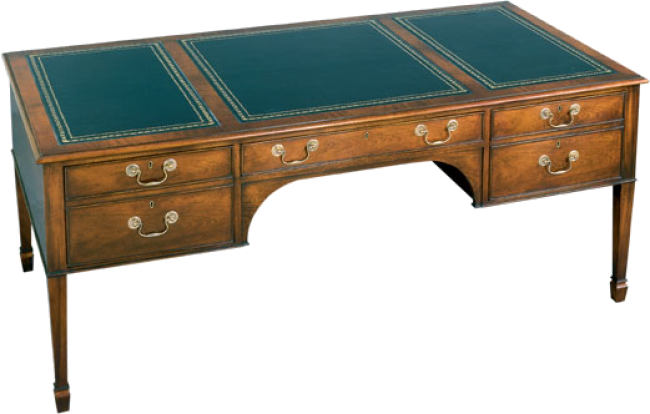 Sheraton style writing table with tapered legs terminating in spade feet. Center drawer with fitted pencil tray and two letter/legal file drawers on Accu-Ride suspension. Brush slide on approach side. All drawers lock. Solid antiqued brass hardware. Also available with wood writing surface. Pictured in Mahogany.